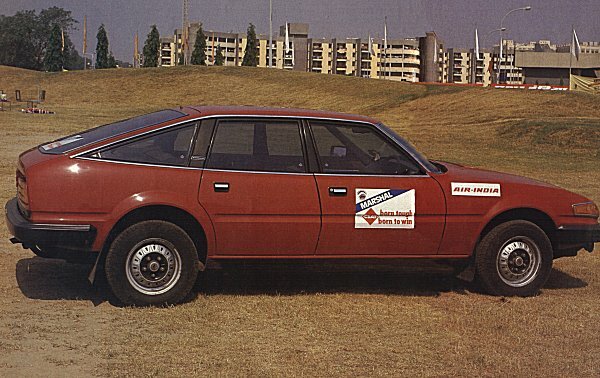 The SD1 was sold to the Indian sub-continent’s Standard car company for production as the company’s new entry into the executive car market. Sales were dismal due to the high price of the car, and it lasted only three seasons. The story behind the Rover’s SD1’s short-lived rebirth in India was down to a relaxation of the government’s policy on carmaking. If the government’s intention was to inject some life into the car market, it succeeded, because it encouraged the managing director of Standard Motor Products of India, C V Karthik Narayanan to approach Austin Rover in the UK about the possibility of producing one of its cars. Even though Standard were an independent company, C V Karthik Narayanan was keen to do a deal with the British. 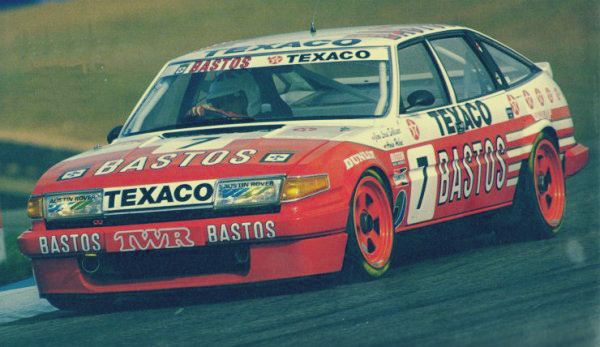 Initial contact was made during 1981, but it was not until March 1984 that C V Karthik Narayanan and Mark Snowdon hammered out a deal, which involved supplying 12,000 sets of SD1 body panels. The intention was to use the 2.5-litre Standard diesel and 2-litre petrol engine. The production capacity of the Madras factory was 16 cars per day (roughly 4,000 cars per year), although this target was never reached during its all too short production run. At the time of the Standard 2000’s launch in April 1985, there were only eight million cars on India’s roads – out of a total population of 800 million people. The new car was to enter a flourishing market, and although total sales were still relatively small, they were increasing at an enormous rate. The Standard 2000 was conceived to sit at the head of this market, and its price of 212,000 Rupees (c. £12,000) ensured its exclusivity. 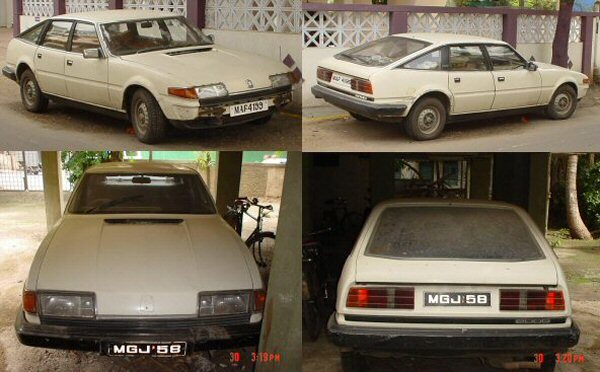 Shortly after its introduction, the production of body panels was transferred to India, as there was no need for this facility to remain in the UK following the launch of the Rover 800 in July 1986. In fact by 1988, the factory started to export the panels back to the UK for UNIPART to sell in the replacement parts market. Technically, the Standard 2000 differed in many ways from its European progenitor. Suspension was the same in its make-up, but ride height was raised by an inch at the front and rear. 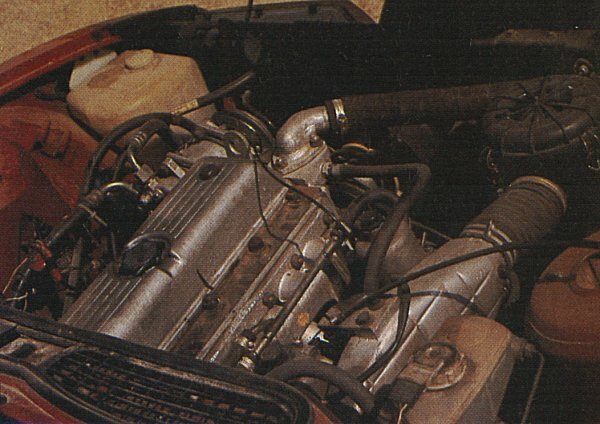 The engine was unique to the Standard 2000 – and was described by Narayanan, “as a cross between the Triumph TR4 and Rover 2000”. This Standard engine first appeared in the Vanguard model of 1948 (and the UK version was also used in the TR4) and was used in the Standard 20 commercial vehicle range after that. Twin SU carburettors were used in the 2000 and the cylinder head was re-designed to resemble the Heron unit found in the P6. The four-speed gearbox was locally designed and replaced the excellent LT77 unit of the original. Equipment levels were generous enough – electric windows were featured, but most importantly it came with the option of air conditioning… not a luxury in India. Build quality of the Standard 2000 was reported to be more than acceptable, but the driving experience was not. In his amusing website, G Harindra Kumar summed it up succinctly: “I had the ‘privilege’ and ‘pleasure’ of driving one of these clankers; the gearbox in particular was screaming for help; the less said about the transmission the better – the sounds emanating from it was like a music score right out of a Wes Craven horror flick.” A world removed from the European Rover 3500, then. Some pictures of the Standard 2000, as taken on India’s mean streets in 2003. (Pictures supplied by Karl Bhote). Specifications are reproduced from Automobile Revue, and were supplied by Matthias Jost. Looks vaguely like two HS6 carbs behind a plenum chamber. 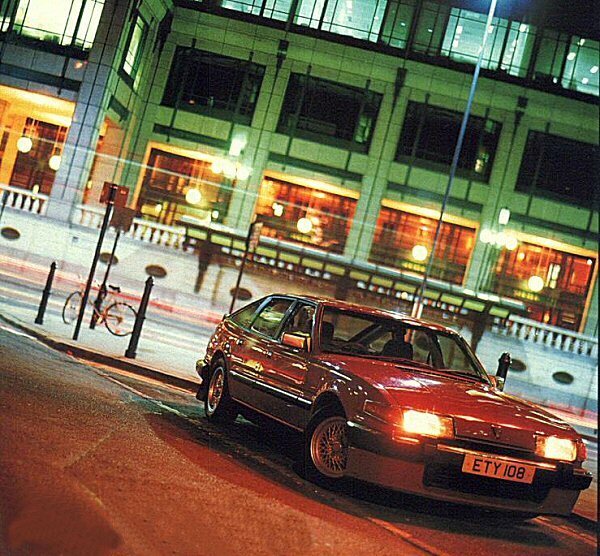 83hp flat out – bet that was a real revelation – and 4 speed too. In fact I can tell you what it’s like because it’s almost identical to the Wolseley landcrab in performance (apart from the horrible top gear ratio) so surprisingly unbad – just not very quick. Wonder why the gearbox was so bad? Out of alignment or worn out? On further examination that cylinder head looks curiously B series & with a low CR of 8.0 and the supercharger kits from hi-flow & Moss – might have made for an interesting car. 120-130hp compared to 83 makes a lot of difference.